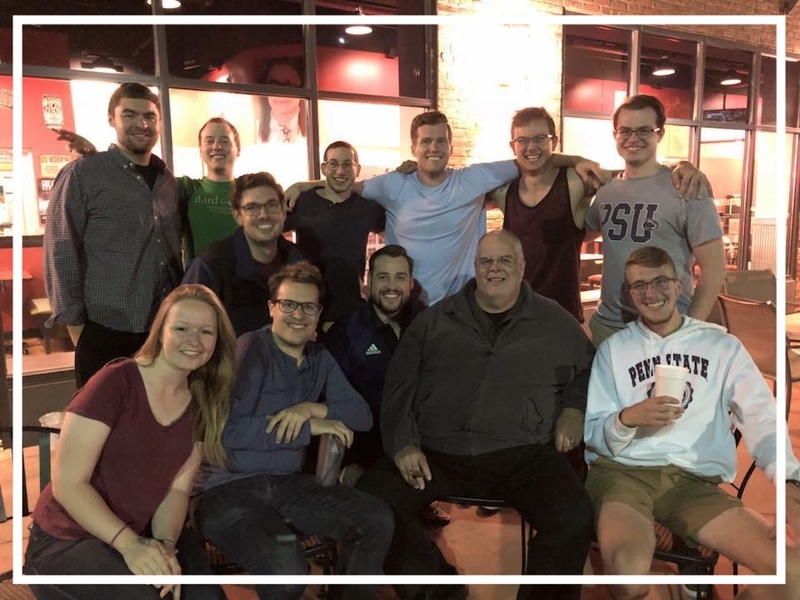 Back in June, Penn State was represented at the Cleveland Trombone Seminar (CTS) by the largest group of Trombone Studio students (and one tuba) yet along with a group of Penn State alumni. The group included students Wade Judy, Ofer Cohen, Nick Kazmierczak, Chris Bloom (tuba), Britney Bidding, Shawn Holl, Ethan Spencer along with alumni Wesley Thompson, Jamey Morgan, and Ryan Hayward (tuba). While at CTS, the students participated in various masterclasses, clinics, reading sessions, individual lessons with professional faculty, and warm-up sessions, along with chamber ensembles and a massed trombone choir directed by Mark Lusk. Apart from the numerous events aimed at becoming a better musician, took part in the "hang." Most often this was everyone going to dinner but also included a Cleveland Indians baseball game as well. Similar to the family atmosphere the trombone studio has on campus, this translates to CTS also and comes to involve other students at CTS. Shachar Israel, director of CTS and trombonist in the Cleveland Orchestra remarks about the positive atmosphere the Penn State studio brings to Cleveland. Older PostWelcome to Our New Graduate Students!